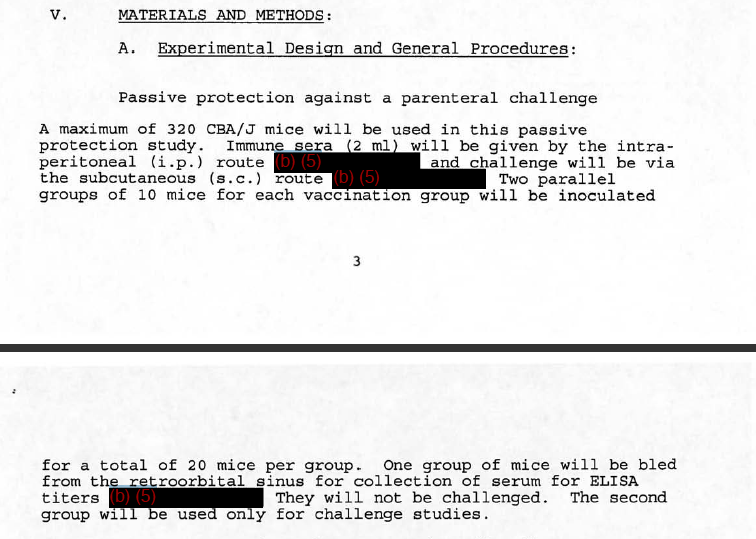 * The Passive Mouse Study Involved Up To 320 Mice And Required Observation For 14 Days ; It Seems That The Prosecutor and Investigators Did Not Understand This « CASE CLOSED … what really happened in the 2001 anthrax attacks? This entry was posted on December 24, 2011 at 8:17 am	and is filed under Uncategorized. 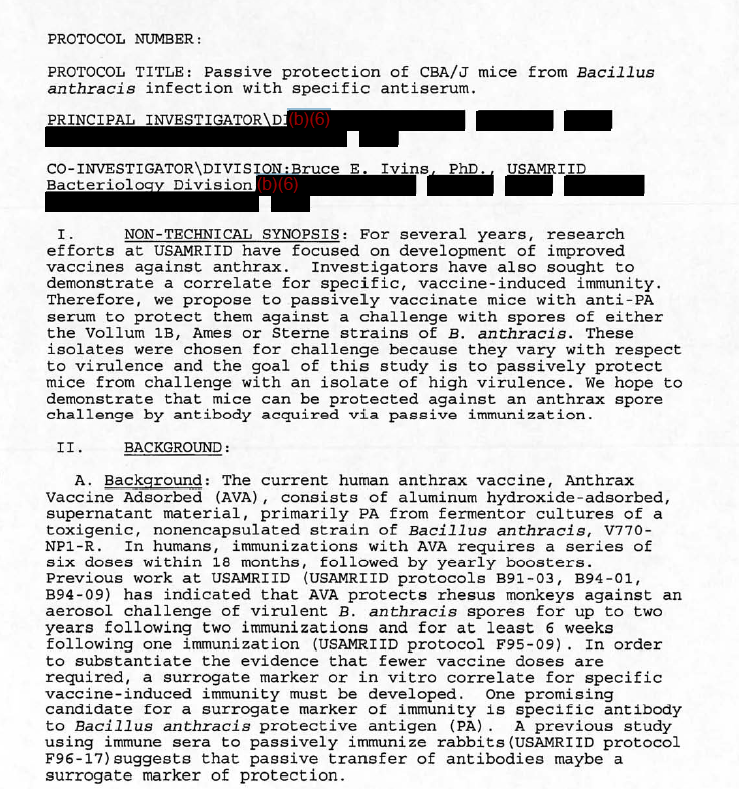 Tagged: *** 2001 anthrax attacks, *** Amerithrax, *** Dr. Bruce Ivins, *** FBI anthrax investigation, ivins lab work in fall 2001, Passive Mouse Study. You can follow any responses to this entry through the RSS 2.0 feed. You can skip to the end and leave a response. Pinging is currently not allowed. If USAMRIID had not withheld and destroyed the documents that would have permitted Dr. Ivins to reconstruct his time in September and October 2001, perhaps his suicide could have been avoided. They wrongly told him his emails could not be retrieved. The person forgot to provide the documents relating to activity in his suite until after the grand jury. Then key Lab Notebooks were withheld from him, courtesy of the FBI. Key notebooks from 2001 have still not been produced. Years later, USAMRIID now has chosen to block the path that might allow Dr. Ivins’ name to be cleared and his alibi tested. Given that the public interest clearly outweighs any countervailing interest in the identification of one animal room in the B3 suite (as it existed in 2001) versus another, USAMRIID will owe attorneys fees. The people deciding the issue appear not to understand Amerithrax or the public interest in knowing why Dr. Ivins was in the lab late on September 28, 29, 30, 2001. It was a failure to understand such operational security issues that led to the decades-long mess in the first place. I have asked the highly efficient FOIA officer at USAMRIID for an unredacted copy of the paragraph “Study Room” that identifies the room in the Bacteriology Suite in Building 1425 where it was conducted. I have explained that under (b)(6) the public interest in knowing where Dr. Ivins when Pat Fellows says he was those nights he was working with the mice outweighs the privacy of the furry little critters. Regardless whether the number is 305 or 310, it does not affect analysis — but the elimination of unnecessary redaction will lend clarity to those finding events from 2001 difficult to reconstruct. The FOIA office responds that she has given RIID a suspense date of Friday. Until these brilliant scientists clone her, science won’t have achieved much. Bruce explained that such studies would involve 3X’s daily animal checks. The issue of animal checks and these animal studies is discussed in the sworn USAMRIID civil depositions. I previously uploaded the 302 statement stating that checking the animals was a one-person, two hour job. The suggestion that Ivins had no reason to be in the lab at night and weekends is not true. The discussion in the USAMRIID depositions is the best evidence. Only brief excerpts of those depositions was made part of the filed court record. c) Passive studies in rabbits and monkeys (aerosol challenge). and I would be willing to work on this with	f it is decided not to contract this out. 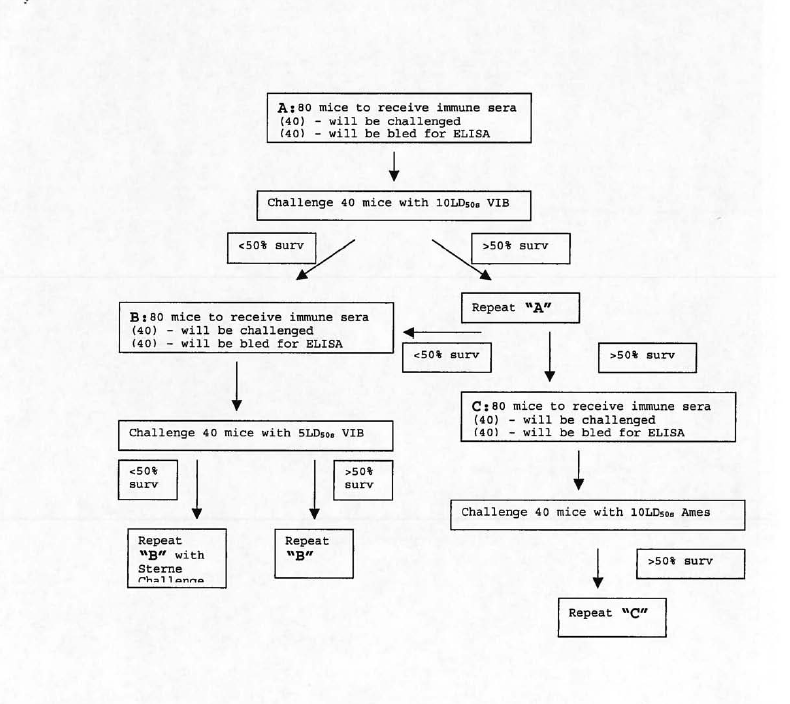 “This week IVINS had more mouse challenges and late nights planned. … Now the Postal Service people are all over RIID. It’s very emotionally draining, (….) to know that people that that I could be or would be a killer/terrorist. I didn’t mail the spores and didn’t bioweaponize them, and I hope against hope that nobody took a strain or some spores that led directly or indirectly to the anthrax mailings. Note: A 2- man rule was implemented in January 2002 causing a cessation of long hours. By this time, it had been deemed unviable and abandoned. “Definitely watch the Frontline one as they managed to get their hands on some unredacted items. The two biggest chunks of evidence that got blown away were the timing and the samples. 1. The FBI pointed to Ivins lab hours right before the attack as proof that he was the bomber. Look at his using this lab at night! which he never did again… except he routinely used other labs at night all the time… as did everyone else. He was running a live mouse trial in that lab at the time. he was in there checking his animals. they don’t wait til morning! The FBI just lopped off the rest of the chart that showed his evening hours in other labs. 2. He provided the FBI with a sample that didn’t match the master flask that they suspected as the source of the anthrax. He’s covering his tracks! Except that he provided them four samples, twice the number they asked for. Three of four matched the sample the FBI took of the flask. Of course the FBI was totally unable to actually handle the material themself, so they had to send it elsewhere for testing. so anywhere in process you could have had a foulup because it was out of their hands for almost the entire time.